« BMAP: Take a picture with PR Giveaway winner Flockagrego! It’s just the start of the new year and we have two fan submissions already! 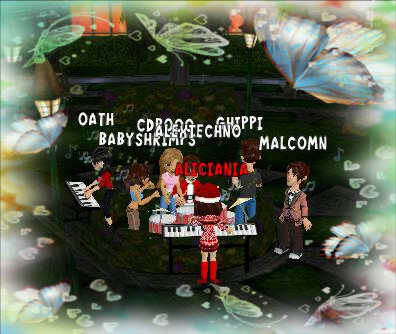 This one is by Aliciania, who took a lovely image of her friends during a chilly night in town. It looks like a lot of music, singing and dancing were involved. Sure looks fun! Let us welcome 2014 with a jolly mood! This entry was posted on Monday, January 6th, 2014 at 1:00 pm	and is filed under Fan Submissions. You can follow any responses to this entry through the RSS 2.0 feed. You can leave a response, or trackback from your own site. That Night was SO Fun ! Great Picture taken! ….. all the best for 2014 guys!